Pssst... Want to save large sums of money in years? There are many ways to save your money. Some would forgo some wants, others would decide to skip a meal to save a few dollars here and there. There is an easier way to save money and it is related to one of your largest expense in your lifetime. For most people, this largest single cash outlay would be your house purchase. Since it is a large expense, many will be taking housing loans instead of paying in full for the property. As the loan monthly installments are a regular affair, it will be wise to find ways of reducing it. If you have excess cash to spare, go ahead and pay in full. If not, opt for a lower loan amount. Lower loan means you can stay within a healthy Total Debt Servicing Ratio (TDSR). TDSR is currently at 60% of your income (less if your income is variable - i.e. Freelancers, Self Employed, etc) So if you are earning $8,000 per month, you can afford a maximum of NET loan with monthly payment of $4800 . It is best if you keep TDSR low in case you need to purchase other big -ticket items such as car or renovation. If you have decided to purchase the house and are looking for a loan, do not settle for the first approved loan. For convenience, many home buyers may opt to take the housing loan from the main bank that they have accounts with. It will make more economic sense if you shop around for better loan interest rates. You could end up saving a pretty penny in the long run. For example, a $1 million loan at 2 % vs a loan at 1.5 % would mean a difference of $5000 per year. Multiply it by 20 years and you could save a whopping $100,000. The extra effort to look for an alternative will now look very appealing. Saving money on home loans does not apply to new loans only. Do you know for existing loans, you can also look to refinance the loan after the lock in period? Often, home owners may not consider refinancing as an option. Some may find it too tedious a process to go through. Others may not be informed of this option at the bank where the loan resides. Loan interest rates tend to jump after the lock in period. If one chooses to ignore it, it could easily be 1-2 % more than the lowest rates in town. For a loan quantum of 1 Million, that is a difference of 10-20 thousand dollars per year! Going to each individual bank may be a hassle especially for busy individuals. Imagine the time spend for queues and discussion with each bank. 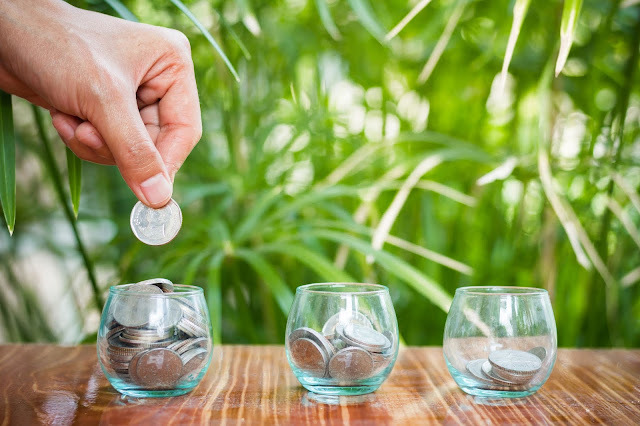 Simply comparing 3 different bank rates could effectively take away one day of your time. I decided to take the search online. Visiting each bank's website can be challenging - it takes time to navigate to the mortgage details. Furthermore, not all banks disclose the rates provided online. 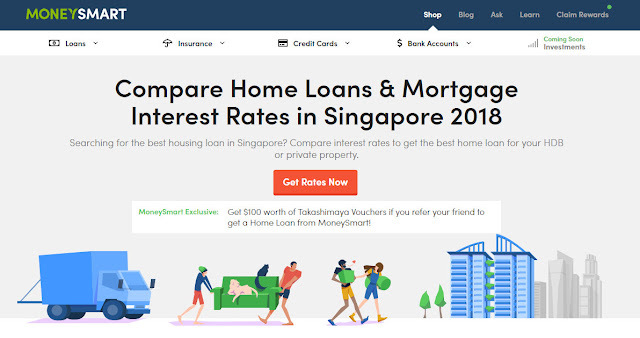 Instead just key in 'Mortgage Rates in Singapore' and you will find website with loan comparisons in the result. I ended the search with MoneySmart , a local online platform, that enables me to compare rates from 12 banks in Singapore. Getting the rates was a breeze. By simply provided basic information on the loan details and register, the loan rates comparison is then available. The service was more personalised when I recieved a call from their mortgage specialist within a day. My intention was to refinance the loan next year when the lock in period is over. Despite not intending to refinance the loan immediately , the Mortgage Specialist was very professional in answering my queries and concerns, with a promise to follow up 3 months before the loan is due. Personally, I would be very impress with MoneySmart should the Mortgage Specialist make the follow up call as promised. However, it is still a face that MoneySmart is useful as it saves my time in getting the information I want- I don't have to visit 1 websites back and forth to make online comparison. Always have a buffer to save for rainy days. It could be for another major purchase or buffer against unemployment. Before you sign the dotted line for the property, make sure you have a pre-approved loan. Once the option is signed and you forgo the deal due to a rejected loan, you will end up losing the option fee. It is better to get more than one pre-approved loan, so you have a backup in case you need one. In addition, it allows you to compare the home rates before you make the decision to purchase the property. For every 1 % difference in loan rate, you save $10,000 per year for every $1 Million loan. Multiply it by the typical 30 years loan, that is a savings of $300,000 during the loan lifetime. If your loan quantum is higher, you will save more. 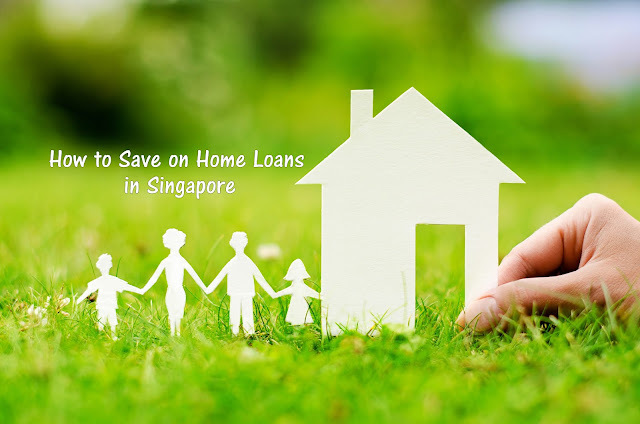 Thus, finding ways to reduce your home loan may even boost your retirement plans. 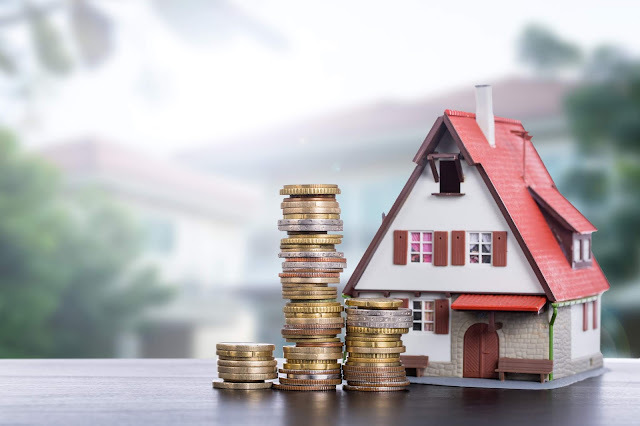 The Home Loan will be best place to start if you are looking to save serious cash, so start looking for the right one today.